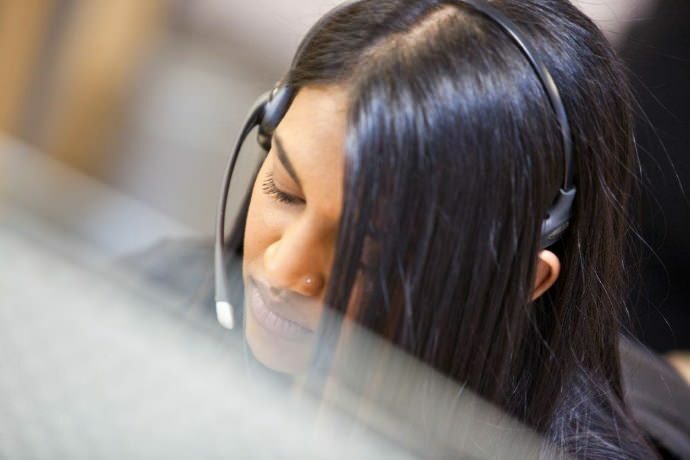 The Emergency Call Centre Operator: How do they do it? There are several people from various professions working towards making our roads safer. On the Arrive Alive website we find information on some of these professions and the challenges they experience daily. A Day in the life of an advanced life support paramedic in KZN. We would also like to offer some insights to the life of the call centre operator who answers calls and dispatched medical and roadside assistance. Can you give us a brief overview of the size and numbers of personnel in the call centre managed by FirstGroup? Firstgroup operates a 300 seater Contact Centre based in Johannesburg which is currently handling in excess of 20 000 requests for assistance a month. Staffed and run 24 hours a day by 220 highly skilled personnel who will receive, despatch and manage the service request from beginning to successful completion. What is the range of calls answered - the nature of services that are provided? Do the Operators have to undergo specialized training when I.e. 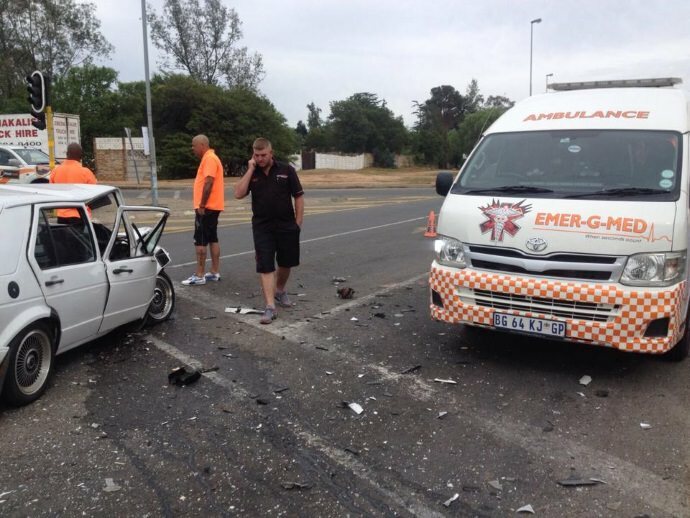 emergency medical assistance is required from the scene of a road crash? 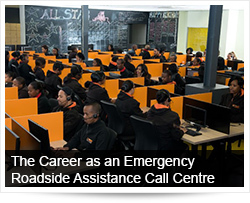 ALL controllers within the Emer-G-Med control centre have a BLS (Basic Life Support) qualification or higher. They are trained to deal with callers who are either going through a traumatic incident themselves or people that are calling in on behalf of someone who is. This can often result in having to speak to people that are frantic, injured, or who have just experienced personal loss. All staff however, regardless of where they are working have to undergo very intense and specialised training for the areas they are working in. Any staff member that starts working in our control centres will undergo a minimum of 1 month training before taking a call or speaking to a client. How often does training take place? Initial training is approximately a month and is done prior to a new staff member “going live”. We then have staff sent on some form of training at least once a quarter in line with our continuous improvement plan to keep them fresh and ensure they are up to date with the latest industry trends. We also have a lot of adhoc training when we have case studies we can use where events have not gone to plan – or conversely where events have gone exceptionally well. Adhoc training is done when new clients come on board. Here, we have intense training around client specific needs to ensure a seamless transition to us for our client. Is there room for the call centre operator for self-improvement and to advance to a more specialized level? The scope for self-improvement and advancement within our control rooms & contact centre is great. With the group growing continuously, there are always more senior positions becoming available from Supervisory to Managerial. We are very pro – growth from within and we will always ensure that staff are being trained and their knowledge furthered and increased to have a pool of excellence we can draw from for all future growth points within the Group. Do you do a de-brief on the queries received and the assistance offered from the operators? Are all calls recorded and monitored to ensure accuracy of response? We take serious cases that have transpired and use them as case studies for the staff to see exactly what parts were well executed and should continue as such as well as highlight the areas that were not so well executed and workshop ways in which to better the service delivery and ensure the failures do not happen again. Is there a specific checklist to guide the operators to gathering the correct information from the caller? The Firstgroup Contact Centre has state of the art technology and all telephony transactions are closely monitored and both inbound and outbound calls are all recorded and archived and are easily accessible and available. We have also developed our own 100% in-house, call capture and despatch system. This has changed and has been refined over the years to accommodate our ever changing needs. The system is in essence a call prompter for the agent and a very definite & sequential set of questions and data sets need to be captured and asked by the agent throughout the call. All the interactions on the system are date and time stamped. From the call taking area, the case is then sent to despatch where the entire data packet is sent to a Tablet App within the tow truck where our tow operator then manages the call feeding back information into the call taking system. Can you give us an example of the typical information most important to be collected in different scenarios such as emergency medical assistance, roadside assistance, accident management? Crucial information would be Vehicle Details and Location of vehicle. Contact details are equally important as we MUST have communication with the client at the vehicle to ensure we are able to update them. In the event of an accident, we always enquire first if there are injuries and if any medical attention is required, if so then we send the call to Emer-G-Med first for assistance. We are in development of an app that the client can download where they will be sent various details of who is coming out to assist them and they will be able to track the tow truck themselves form their phone – watch this space. How does the operator ensure that the fastest response is possible from those closest to the scene of the emergency? Through the tracking of our trucks and large visual displays of where the trucks are in relation to the incident, we are able to ensure that the closest available unit is despatched. We are working on this process being fully automated where the system will know (through various algorithms) which truck is available and equipped to do the work and the system will then despatch the truck. It will also update on ETA throughout the process – much the same as a GPS would. Is the operator able to direct the query to a senior manager in a rather challenging situation? There are dedicated team leaders and Supervisors present within the call taking environment. Any call that cannot be handled by an agent can be immediately taken over by or escalated to a senior member who can handle the call WITH the agent. It is important that they do not merely hand the call over, but handling the call with the senior personnel, they will learn how to deal with situations for future reference. What are the qualities that a call centre operator should have to be professional and efficient? When we employ an agent, one of the most important qualities we look for is firstly communication skills as this is what they will be doing all day every day. They need to be able to speak in a manner that is professional, audible, understandable, and in a way that will calm a person down that is in the middle of a traumatic incident. They also need to display a natural ability for out of the box thinking and problem solving as they will be faced with many kinds of incidents that require quick, effective decision making skills. What are the work hours and are there different shifts - is there rotation? As the contact centre is a 24/7 contact centre, there are shifts which are for the most part on rotation. We do however have a permanent night shift made up of staff that have volunteered to work night shift. We find this works better for us as we don’t have the constant cycle of staff coming off nightshift and back to day which not only creates a large portion of staff that need to be off in order to catch up to day time again, but also it tends to create a constant element of fatigued staff. We are happy with a permanent night shift team and find it to be far more productive. The day shift teams (between 06h00 and 22h00) rotate and have days off in order to ensure they are properly rested and to ensure we are fully compliant with the law. These shifts are also structured in such a way to ensure our peaks are well covered and the quieter periods run on less staff. Do those who manage the emergency medical and trauma calls receive trauma counselling / debriefing or is this service available to them? We have a number of trauma counsellors available not only for the staff in the contact centre and EMS control room, but also for the staff on the road.